The ideal solution for the larger fleet. 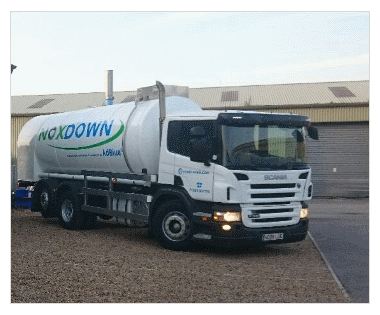 Whether its 2000 or 15000 litre or even full tanker loads that you need Noxdown can deliver your AdBlue® in bulk. Please fill in the bulk enquiry form online today for our latest prices and availability in your area. We offer free nationwide delivery all AdBlue® products. Please see our Terms & Conditions for more details. Please ensure when receiving delivery of our IBC containers or barrels that a forklift is available to unload the containers. If you are unable to attain a forklift please call us directly on 01904 607730.